As I have already told you, I have combination skin that gets oily in the T-zone. Many of the products I have tried irritate my face and I have to admit that only a few satisfy me. I use a cleanser twice per day. I am in love with the Liz Earle Cleanse&Polish which does miracles on my skin. But last August I ran out of it and I couldn’t wait to do a new order from the site(that’s the bad thing when you can find the products only online). So I visited the Kiehl’s corner at Attica the Department Store here in Athens. I was using the Kiehl’s Ultra Facial moisturizer and I was totally in love with. 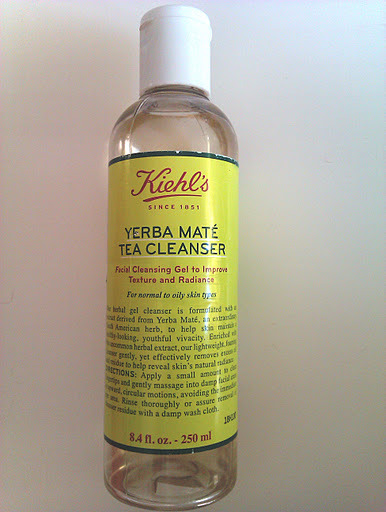 I wanted the cleanser of the same line but Kiehl’s assistant recommended me to try the Yerba Matè Tea Cleanser. The Yerba Matè Tea Cleanser has a gel like texture. Thanks to that texture you just need a little bit of product and that makes the product last for long. It also has a mild and pleasant tea scent which is also very refreshing. As the name claims, it is enriched with Yerba Matè, an uncommon herbal extract that helps skin maintain a health-looking and a youthful vivacity. 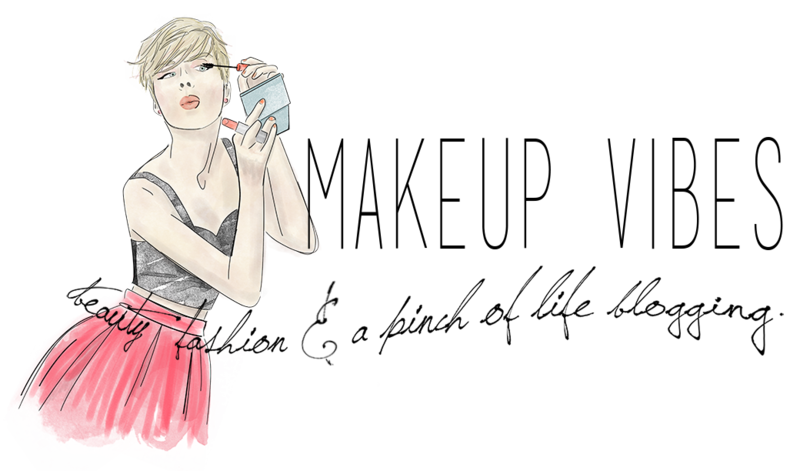 It is also supposed to help minimize the appearance of the first fine lines. It leaves my skin clean and removes excess oil and residue. Another thing that I have noticed is that reduces blackheads and, as it promises, it reveals skin’s natural radiance. My only concern is that it doesn’t control my breakouts. That’s something that the Liz Earle’s cleanser does. I bought the 250ml bottle for 22,50€. Not a cheap product but it’s ok if I consider that does what it promises and lasts for so long (I use it for nearly 5 months and I have more more that the half bottle left). If I would recommend it? Absolutely! I would totally go again for it! 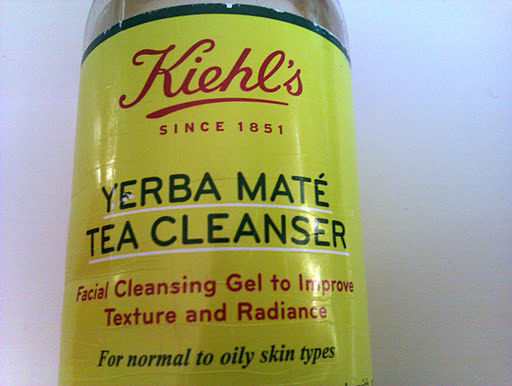 You can find Yerba Matè Tea Cleanser online at Kiehl’s site. Have you ever tried this cleanser? What do you think about it? Would you like to give it a try? Den exw dokimasei tipota apo Kiehl;s akoma..kollaw ligaki stis times tous..
Θέλω πολύ να δοκιμάσω κάτι από την εταιρία μετά από τόσα θετικά σχόλια. Δεν έχει τύχει ως τώρα αλλά το χω στα υπόψη.